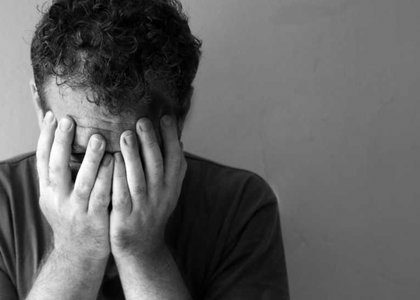 DELHI: Stress-related psychiatric disorders may lead to the development of cardiovascular disease, suggests an observational study. Stress has long been known to be the root cause of many diseases. Now, a recent study published in the journal BMJ has found some evidence of the association between stress-related psychiatric disorder and incident cardiovascular disease (CVD). According to the study, stress-related disorders are robustly associated with multiple types of cardiovascular disease. This association is independent of familial background, history of somatic/psychiatric diseases, and psychiatric comorbidity. Huan Song, Center of Public Health Sciences, Faculty of Medicine, University of Iceland, Reykjavík, Iceland, and colleagues conducted the study to assess the association between stress-related disorders and subsequent risk of cardiovascular disease. For the purpose, they compared over 100,000 people who had a new-onset stress-related disorder — including posttraumatic stress disorder, acute stress reaction, and adjustment disorder — with 170,000 unaffected siblings and 1.4 million members of the general population using Swedish national registries. In the first year of follow-up, people with stress disorders had higher rates of cardiovascular disease compared with siblings (8.1 vs. 4.9 events per 1000 person-years) and the general population (8.5 vs. 4.3 per 1000 person-years). Results were generally still significant but attenuated after 1 year. Risks were highest for heart failure in the first year after stress disorder diagnosis. Additionally, risks were higher for CVD before age 50 than at later ages. “Although the study focused on psychiatric disorders related to acute stress, associations with CVD are not unique to this cluster of disorders. As mentioned above, good consistent evidence also links mood disorders with the development and progression of cardiovascular disease. Some forms of depression may also be induced by stress (although a stressful life event is not a requirement for depression). This raises questions about the extent to which Song and colleagues’ findings are unique to recognized stress-induced disorders such as PTSD or shared with other psychiatric disorders,” Simon L Bacon, professor, Montreal Behavioural Medicine Centre, CIUSSS-NIM, Montreal, Quebec, Canada, writes in an accompanying editorial. “In the future, well-designed studies evaluating more appropriate interventions will be critical not only to confirm the inferences of the new study but also to provide real benefits to patients,” he concludes.